This attitude requires dedication and compassion on your part. In other words, you’re not simply ‘in it for the money’! Though, there’s no reason why you can’t be paid what your unique skills are worth. It’s more a matter of motivation and focus. Through my analysis of the resonant influences ‘hard-wiring’ your brain at the time of your birth, we can find your highest potential for this life—as a professional and as an ‘awake’ human being. Every field of work can be approached in this way. and most significantly, it gives you explicit permission to be the person you would love to become, and to perfect the work you would love to do—as this potential is reflected in your birth chart. You have bought, let’s say, an IKEA flat-packed sofa. But its sealed box has been sitting in your garage for years. You haven’t been ready to tackle it. I open the box for you and take out the pieces, explain the instructions to you, and then show you a picture of what the assembled piece looks like and how you can effectively use it. But it is still up to you to build the piece, yourself!
. . . You then wonder how you lived without that sofa for so long! (which are much larger and in the cosmos, not the brain! Firstly, it is important to appreciate that a single astrology session with any astrologer cannot encompass all the details of your entire chart, nor is it a fixed interpretation, but should be pertinent for the present stage of your evolution. Secondly, various themes may need to be explored at different times, or information may need to be updated at a later time as you progress through your personal challenges and developmental awareness. Thirdly, each astrologer will have his/her own orientation to the energies presented in the birth chart. My focus is positive, inspiring and empowering. I do not focus at all on any negative personality traits. And lastly, there is nothing to be scared of. I am not going to suggest that something bad will happen on Tuesday, or that you should not get into a red car on Friday. That sort of thing went out a long time ago! Let’s put you in charge of your own life events . . .
My work is based in four decades of astrological study and research (plus independent studies in many related fields including Buddhist psycho-philosophy, Taoism, vibrational healing and many other healing arts). 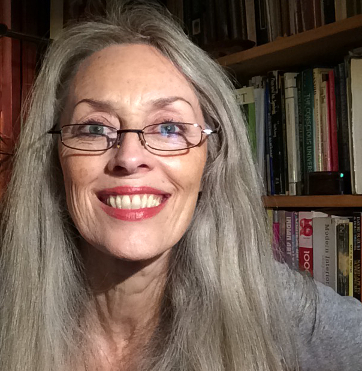 And three decades‘ experience with clients; plus seven years of teaching my unique 2-year astrology courses, before I initially left Sydney to focus on writing and related studies. Focusing on your negative traits only serves to reinforce them. The Yogacara personal Astrology sessions (a major part of The Bodhimind Program—my umbrella program linking all my services), involve confidential dialogue, rather than a monologue of information, so that ideas can be thoroughly explored with your full participation. I do not offer pre-recorded chart analyses that are not dialogue situations; even for small children, at least one parent or guardian is consulted in real time. Please be wary of astrologers who simply type your birth data into a computer and shoot out pages and pages of computer-driven information about you. No computer can replace a genuine, sympathetic, professional astrologer who works with you directly. A Bach sonata can be played on the same piano that years before only sounded with the single-fingered “Baa-Baa Black Sheep” from the same musician! Same piano (same birthchart)—different awareness and skillful practice of its use! Each session I do is unique in itself. You receive in-depth information pertinent to you only. This is not standardised text-book stuff. Every birth chart is as unique as every individual on this planet. I believe I may have gained a little wisdom along the way. Ready to Book a Session ? or Explore all the Sessions ?